The decision to ground all F-35 fighters at the Luke Air Force Base in Arizona was extended indefinitely, as special teams of experts struggled to figure out what caused multiple incidents of pilots reporting oxygen deprivation. Brigadier General Brook Leonard, commander of the 56th Fighter Wing at Luke, suspended flight operations on Friday after reports of five “physiological incidents” since May 2. Flights were supposed to resume. Monday, but the ground stop remained in place. There was no mention of how long this review might take. “The safety of our Airmen is paramount and we will take as much time as necessary to ensure their safety,” Heyse said. The decision affects only the 55 jets assigned to Luke, the Air Force’s principal training site for F-35 pilots, as well as for pilots and maintenance crews from Australia, Israel, Italy, Japan, the Netherlands and Norway. F-35 squadrons at Hill AFB in Utah, Eglin AFB in Florida, Edwards AFB in California and Nellis AFB in Nevada are still flying, according to the Air Force. This is the second time the Air Force’s F-35A Lightning II jets were grounded since the fifth-generation jet was declared fit for service last year. In September 2016, operations were suspended due to electrical problems inside the fuel tanks, according to Defense One. Makers of the F-35, the Virginia-based Lockheed Martin, have sent an “action team” of engineers and maintenance specialists to examine the incidents, USAF spokesman Captain Mark Graff said Friday. Similar issues have previously been reported by pilots of F-22 Raptor fighters. In April, US Navy flight instructors at three bases refused to fly the T-45 Goshawk training jets, pointing out that the rate of hypoxia incidents had quadrupled since 2012. Touted as the fifth-generation fighter jet with a modular design, the F-35 comes in three variants. The F-35A is the Air Force model, designed for conventional runways and declared combat-ready in August 2016. The US Marine Corps variant, F-35B, was the first to be declared operationally capable. Lockheed is still working on the F-35C, intended to operate from US Navy carriers. 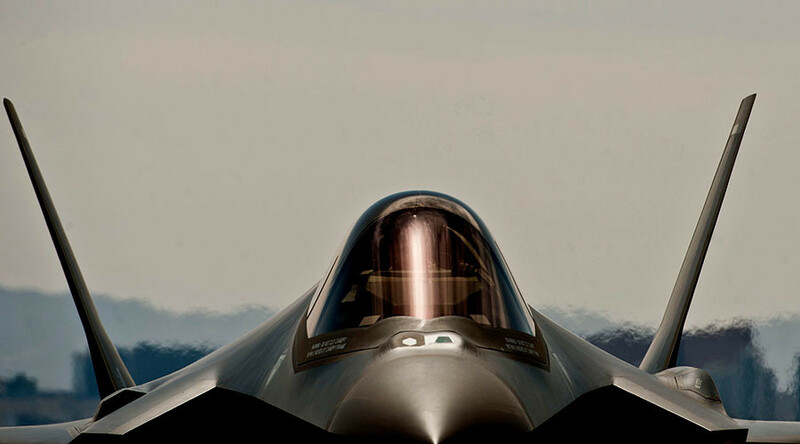 Over 220 operational F-35s have been built and delivered to US and allied militaries. The planes have collectively flown more than 95,000 flying hours, according to Reuters, but the plane has not yet seen combat. Critics of the jet have pointed to its astronomical price tag and unsatisfactory performance compared to dedicated older aircraft models, which the Pentagon aims to retire once all F-35 versions become fully operational.